Learning to read can be hard! As a parent, it’s difficult to watch your child struggle with a skill that’s fundamental to their success in life. The English language has five basic vowels (a, e, i, o, u) that make a total of 18 different sounds! The vowel sounds are the hardest part of learning to read, but all those vowel sounds must be mastered before becoming a successful reader. Without a solid understanding of phonics; strong vocabulary, fluency and comprehension are difficult to achieve. This is why strong phonetic instruction is so critical to academic success! 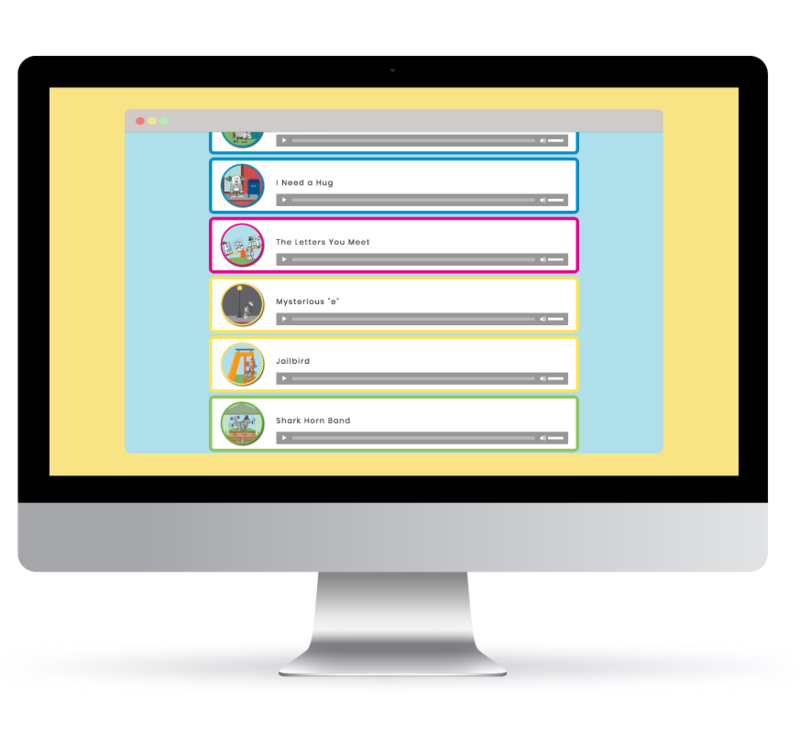 Voweletics® The New Phonetics builds a solid foundation by consolidating the phonetic code into three simple rules - WHAT TO DO #1, WHAT TO DO #2 and WHAT NOW. These rules form the structure for decoding any word and are placed on one chart - the SMART CHART. Each lesson focuses on a component from this chart that readers use for reference until mastery is achieved. Let’s take a closer look at how Voweletics teaches to WHAT TO DO #1. The words hen, he and her all contain the letter "e", but the letter "e" makes a different sound in each word. Can you explain why? Don't worry - because most people can't. 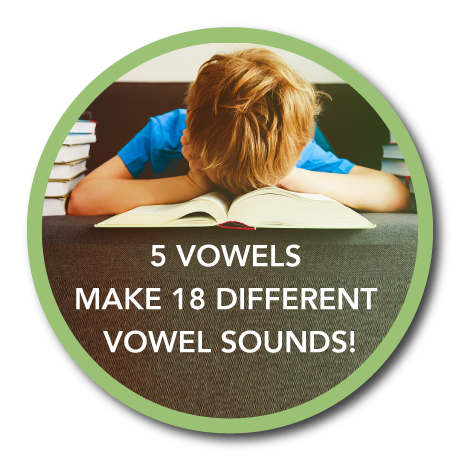 Voweletics teaches the reader which vowel sounds are heard in words by looking at the vowel pattern and applying our simple and systematic method. Our method takes the guessing out of learning to read! Let’s look at an example of how it works using the word hen. Step 1 - LOOK at the vowels before you go! The word hen has one vowel, so we will use the Voweletics Rule - WHAT TO DO #1. Step 2 - THINK which vowel sound it will say. The letter "e" has letters after it, making this a short vowel pattern. Step 3 - READ the word, now that's the way! This Voweletics character serves as the guide word so readers know which vowel sound a short "e" makes. Congratulations! You just learned the LOOK! THINK! READ! method. Now that understand how learning the vowels really can be made simple, let us show you how learning these rules can be fun at the same time. Content is delivered through systematic charts, teaching songs and other highly engaging activities that reinforce learning. 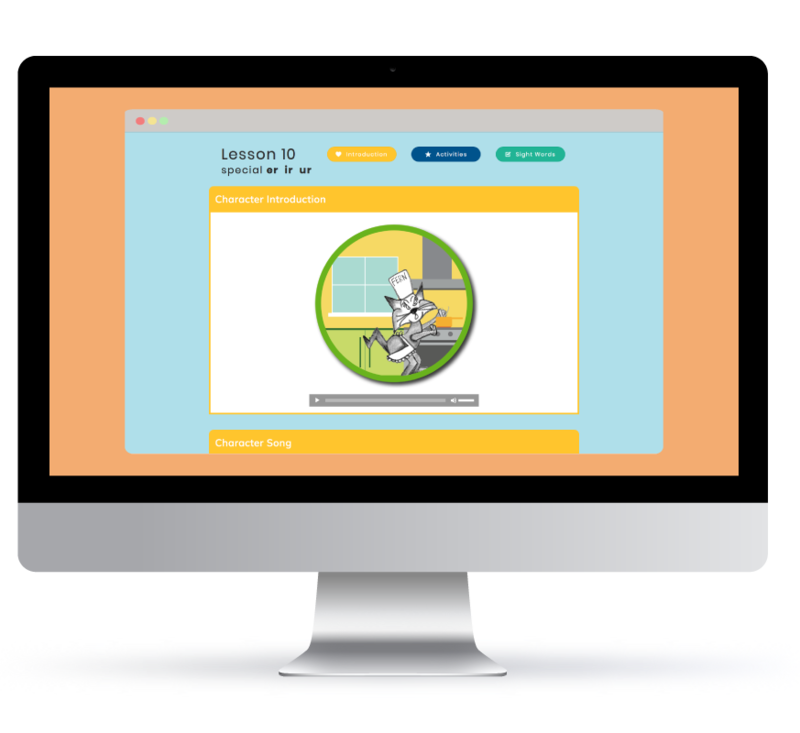 Step-by-step video tutorials provide opportunity for you to teach you child or let the web teacher do the work for you. Children develop the confidence to accurately sound out words and are able to apply these skills to spelling. One of the great ways Voweletics teaches and helps reinforce the vowels sounds and rules is through music. Every vowel sound and phonetic rule has a corresponding teaching song to ensure learning success. Listen to the WHAT TO DO #1 rule song to see just how fun learning can be. The jazzy beat and creative lyrics are sure to have you and your child tapping your feet. Parents enjoy teaching Voweletics as much as children enjoy learning Voweletics!